As some of you may know I recently had a remanufactured engine put in which is warrantied for 3 years/100k miles. For risk of them not honoring it (and these have been laying around for a while) I have decided it was time to sell. 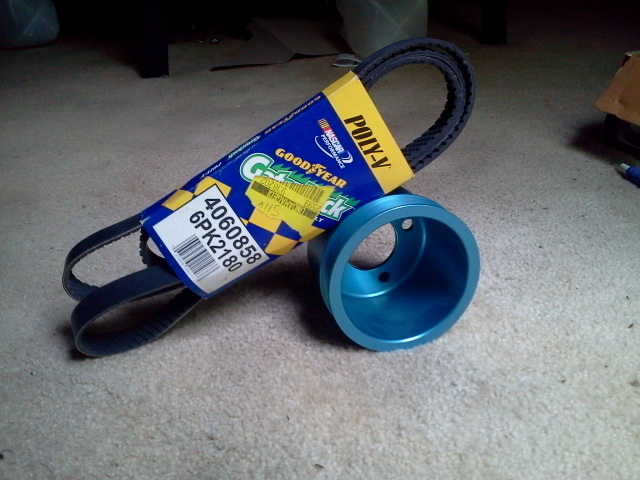 First there is a blue Underdog Performance underdrive crank pulley with Gatorback belt. Some of you probably remember when underdogperformance.com was still up and how popular these were. It took me a while to find a used one. Based on my internet research, I believe the belt to be the correct size for the 3.0 with AC. The pulley is a 4 bolt. Looking for $125 shipped to the lower 48. 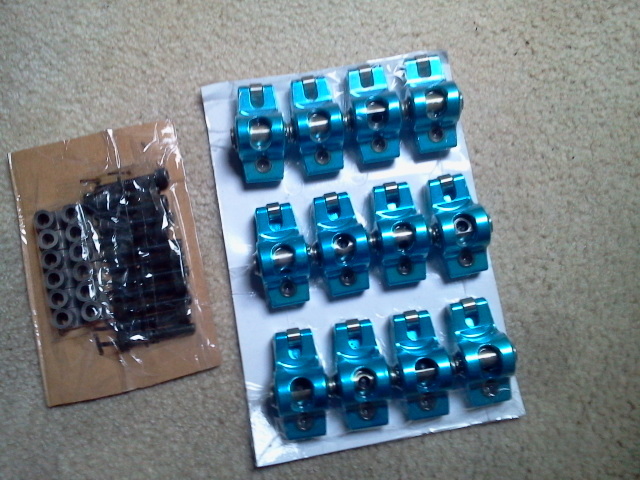 Second is a set of 1.7 Roller Rockers. These are NOT the ones Tom Morana sells. I picked this up from N20-3.0 here on the forum. If I remember right, the rockers are the same ones Morana uses but the pedestal mounts are different. Looking for $225 shipped to the lower 48. You really should try reading some time. It's amazing what you can learn. I saw this bumped and got a little excited. Guess Im limited to one big ticket impulse buy a night.